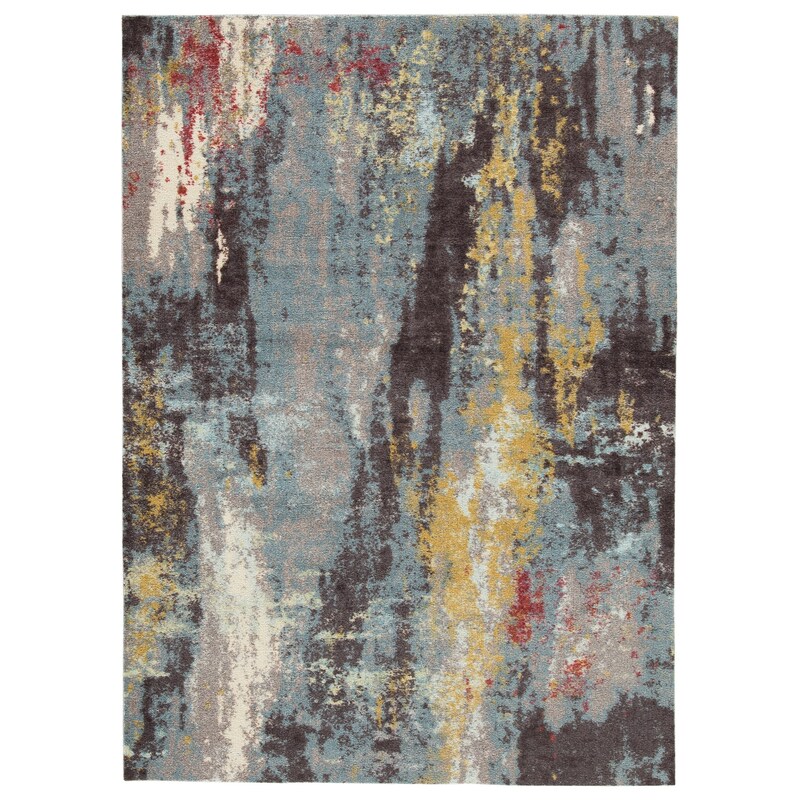 The Contemporary Area Rugs Quent Blue/Gray/Yellow Large Rug by Signature Design by Ashley at Sam Levitz Furniture in the Tucson, Oro Valley, Marana, Vail, and Green Valley, AZ area. Product availability may vary. Contact us for the most current availability on this product. I ordered this item online and to my surprise it was just as beautiful in person as seen online. The colors are very vibrant as you see online. Deep gray, yellow, sea blue, cream and touch of red. Many decor options with this one.